The Event Transport team at A-B 24/7 are available 24 hours a day, 7 days a week on our 24/7 phone number 0208 0990 247. Whether you need to book vehicles immediately or to discuss an upcoming event we’re always at the end of the phone day and night. If you’re working late you don’t have to wait until the next day to arrange event transport, call us. Vehicle type availability will depend on our other commitments at the time but with a large fleet of trucks and long wheelbase, high top vans we will have a solution for those last-minute requirements. We understand the pressure and stress when you are packing down late at night only to realise you do not have enough vehicles on hand which is why we are at the end of the phone. It’s in our DNA to look after and support our clients. Most events start out of office hours and finish well past midnight which is why our phone number is always manned. It’s important to us that we are flexible and available to event professionals. In the same way, we are here when you need an urgent extra piece of equipment collecting from hirers and transporting directly to a venue. 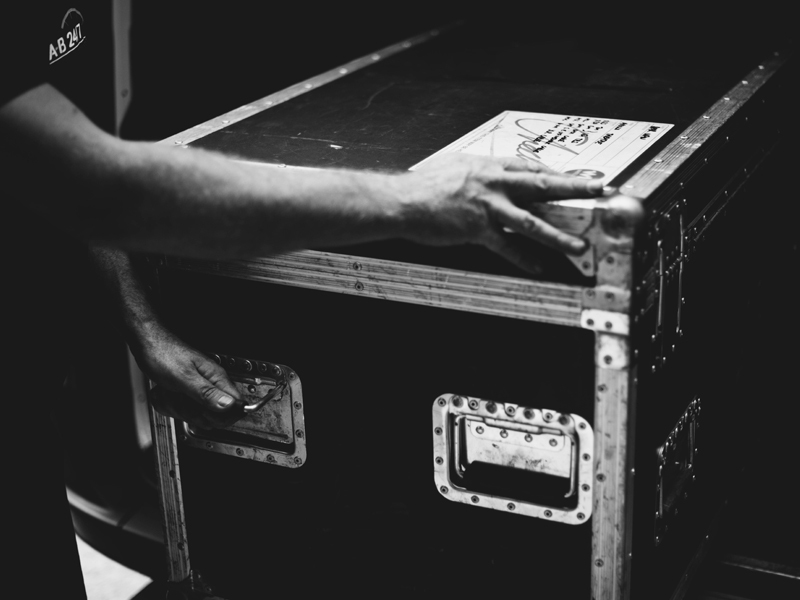 If you are setting-up for an event or a gig and find something is missing, call us, we have a range of vehicles so whatever you need we can dispatch a vehicle to collect what ever you need and go directly to where you need it to be delivered. From our Wimbledon, SW19, London base we offer complete London, South West and full UK coverage. We are here when you finish working late and need something collecting ‘out of hours’. If you don’t need your items delivered directly to an event we can securely store for you and then deliver at a time / date that suits. 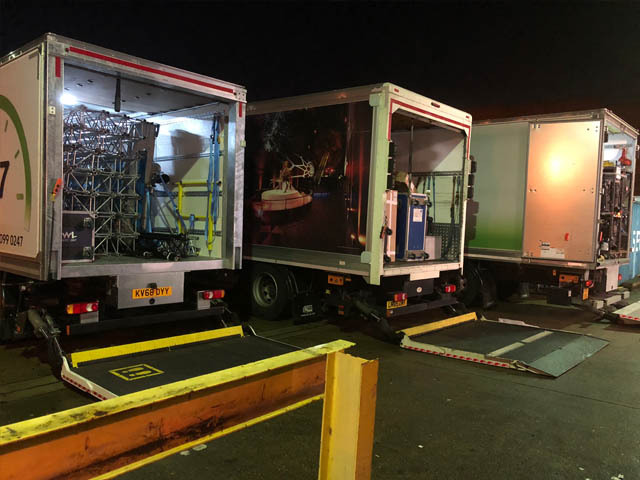 Our team have collected large format print late at night and delivered to exhibition hall as soon as the load in doors opened. If you are not quite finished preparing when we arrive our driver will stay until everything is ready to go. There may be a waiting charge but we won’t leave you in the lurch. We’re available outside of the standard UK working hours if you need to speak to us. You might be shipping to a UK airport and need to arrange collection or you might want to discuss an upcoming event in the UK, or a whole range of ‘out of hours’ needs’ – just call us on +44 208 0990 247. We know from experience that additional support can be required at any time of the day or night and our team are always here to help. Sometimes you need extra vehicles to save you time or just make collections and returns easier. We have a range of vehicles types in our event transport fleet so whether you need an additional piece of equipment collecting and going direct to a venue or all your flight cases collecting in the early hours of the morning, we have the flexibility and capacity on hand. 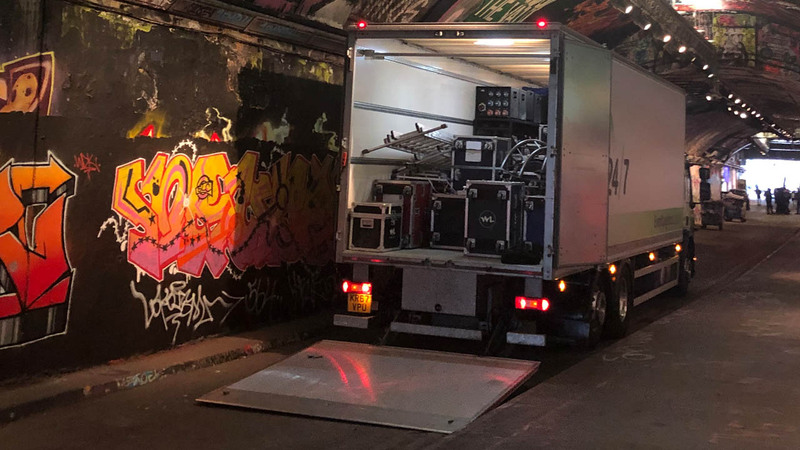 Live events often throw an unexpected ‘curve ball’, requirements can change last minute and that’s when you need a professional event transport provider on hand.